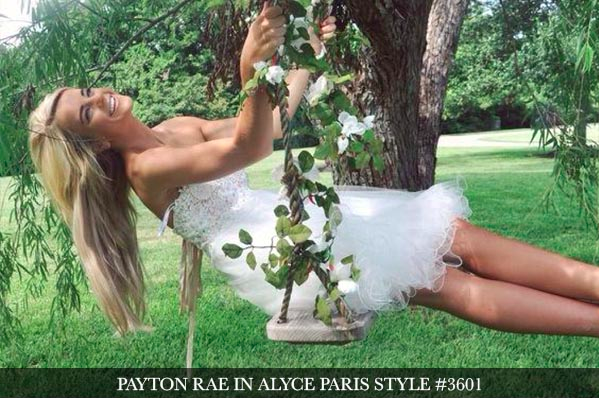 Show off you inner fashionista in these amazing Sweet 16 styles. Not only do we showcase our best styles, we will also fill you in on celebrity sweet 16s, great party ideas and more. If you style is refined and classic, or sassy and bold, we have a ton of styles for you to see. Strapless, one shoulder, fitted, flared, lace, open back, short ball gown etc, the possibilities are endless. Stay up to date with the latest fashion trends and shop here with our top designers. Roo's News has it all. Outdoor parties are always so much fun. Fresh air, blue sky, sun beating down... that's the ideal, at least. It's always scary planning an outdoor party because as much as you hope the weather is perfect for the event, you need to be prepared for the worst, too: cold, rain, wind...*poop*! Yup, apparently poop should now be a concern when planning outdoor parties because it literally fell from the skies for one unsuspecting 16 year old, Jacinda of Levittown, PA, and her family and friends. 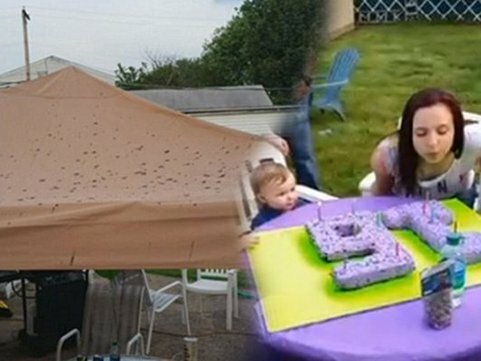 While celebrating her Sweet Sixteen birthday party with family and friends outside in her backyard on Sunday, May 17th, Jacinda received quite the surprise: an airplane flew by her house and dumped feces all over the backyard her 16th birthday party was being held at! Fox 29 Philly got the whole story and interviewed Jacinda's stepfather Joe Cambray. He explained, "Out of nowhere, from the sky, comes a bunch of feces, lands on her." Poor Jacinda! This is not a way anybody wants to spend their Sweet 16. Luckily, though, this all happened after they at the birthday cake. Joe said, "We just got done with cake. Thank God. We took the cake back in, because within two minutes, something fell from the sky. It was brown, it was everywhere, it got on everything." The FAA told Fox 29 Philly that all airplanes are required to dispose of the waste at the airport. The family filed a complaint and the FAA will be investigating what happened. Hopefully Jacinda sees some birthday justice! Our best to Jacinda and all who attended her Sweet Sixteen party. We hope everyone still had an amazing time celebrating such an important milestone. This entry was posted in In The News, Sweet 16 and tagged Sweet 16, In The News on May 21, 2015 by Chrissy Roos. 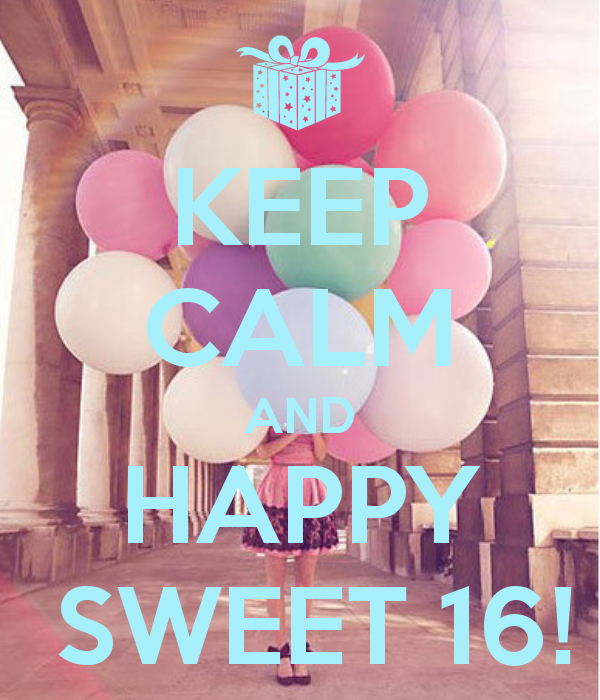 Turning 16 is special enough, but turning 16 in the summer can be even sweeter! For those having a festive party to honor this pastime, we put together some Summer Sweet 16 party ideas. Let's face it, many spectacular parties can be held year round, but certain ideas are much better fit for the Summer months due to nicer weather, more time to plan, and not so many conflicts in schedules. Of course, all Summer Sweet 16 party ideas are fabulous, but we figured a little creativity can go a long way, to make your party all the more extraordinary! This entry was posted in Summer, Sweet 16 and tagged La Femme, Sweet 16, Sweet 16 Dresses, party dresses, Summer, Summer Dresses, party dress, party, tips, Birthday Dress, Party ideas, summer 2014 on July 8, 2014 by Chrissy Roos.